At the heart of the plagues that plague the African continent, corruption is at the top of the pack, especially in the exploitation of natural resources. The African Union has also made corruption one of the priority issues of its summit of January 2018. If the responsibility of multinationals is often brandished, are they really the only ones at fault? 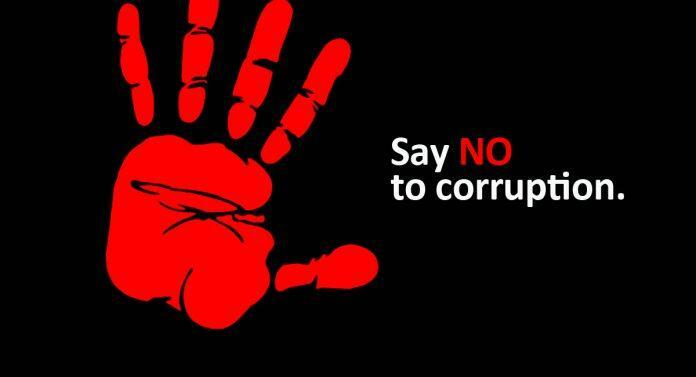 African countries are struggling to get rid of corruption simply because the struggle lacks real political will. Indeed, progress in the fight against corruption remains mixed. Proof of this is Transparency International’s 2018 report, according to which the majority of countries closing the march in this ranking are African. Why? This is explained by the inaction, if not the complicity, of the leaders in the overexploitation of natural resources by foreign multinationals. For the leaders, it is often a way of ensuring to themselves, their entourage and their offspring a high lifestyle to the detriment of the well-being of the people. In 1998, after the death of former Nigerian President Sani Abacha, the agreements between Nigeria and Switzerland, have allowed the repatriation of 533 million USD and this only for Switzerland! These are funds from oil, diverted in complicity with multinational operators. Better, dealing with multinationals is one of the easiest ways to corrupt the various links in the electoral chain and ensure easy and repeatable reelection. According to Global Witness, in Guinea, Sable Mining allegedly financed Alpha Condé’s 2010 presidential campaign with bribes paid via his son. As for the multinationals, corrupting the leaders exempts them from competition and additional effort to access markets and natural resources. They also find it interesting that these same leaders stay in power for the sustainability of their deals. Hence their often active involvement in the re-election of these leaders. The “Bolloré” affair, which is currently in the news, highlights a mechanism in which the Guinean and Togolese heads of state would have benefited from under-invoiced services from a subsidiary of the Bolloré group in their various presidential campaigns. This in exchange for very lucrative markets in the ports. The alliance is win-win. But what can be done to stop this plague? “Paradise papers” or “Panama papers” made it possible to expose cases of corruption and suspicious maneuvers, thanks to access to sensitive data. It would therefore be beneficial to introduce legal protection for whistleblowers to encourage civil society and activists to ensure a healthy watch for the common good. In Niger, for example, it was the pressure of civil society that led the government in 2014 to review its indecent tax favoritism in favor of the French group Areva. Note that in the DRC, the reports of the Study Group on Congo, and the NGO Global Witness, damaging Joseph Kabila and his entourage for cases of corruption and misappropriation of mining rents have not yet allowed the worry that tens of billions of dollars are at stake. In addition, there is a need to revise procurement codes in several countries and to establish clear and transparent procedures around mining concessions. For example, the mining contracts of the Sable Mining Group in Liberia and Guinea have been called into question by the NGO Global Wittness with the evidence of the shenanigans. Unfortunately, the techniques of corruption become more complex and call for increasingly sophisticated control devices. For monitoring, it is urgent to create autonomous institutions, including members of the civil society equipped to ensure a watch in the administrations. Similarly, contracts currently being negotiated should be submitted to parliament for scrutiny. In addition, there should be an independent judiciary and courts of account invested in this area. The reforms on transparency and the rule of law are certainly necessary and urgent but difficult to achieve in the short term given the many obstacles still to be overcome. A situation that calls for the involvement of multinational countries where the rule of law is stronger. It is in this logic that the OECD Anti-Bribery Convention requires signatories to implement “effective, proportionate and dissuasive” sanctions, especially in cases of “bribery of foreign public official”. Even though this agreement has been ratified by most countries of origin of multinationals since its adoption in 1998, very few cases have resulted in truly dissuasive penalties. Countries of origin must therefore go further by blocking, for example, the financing of public banks for the benefit of corrupt multinationals. For example, the European Investment Bank is financing Glencore and many other multinationals accused of corruption and looting in Africa by several reports. Countries of origin could establish strict rules regarding the traceability of funds from these transactions to prevent misappropriation. Also, an international treaty should make it possible to confer a legal personality on the multinationals and their subsidiaries to put them in front of their responsibilities. The nascent corruption of connivances between multinationals and leaders in the extractive industry in Africa has become very complex and global. Faced with this, a comprehensive and integrated approach between host and source countries is essential instead of procrastination. Otherwise the looting will not know its epilogue anytime soon, the poverty either.